Walking through St James’ Cemetery, Liverpool at night. 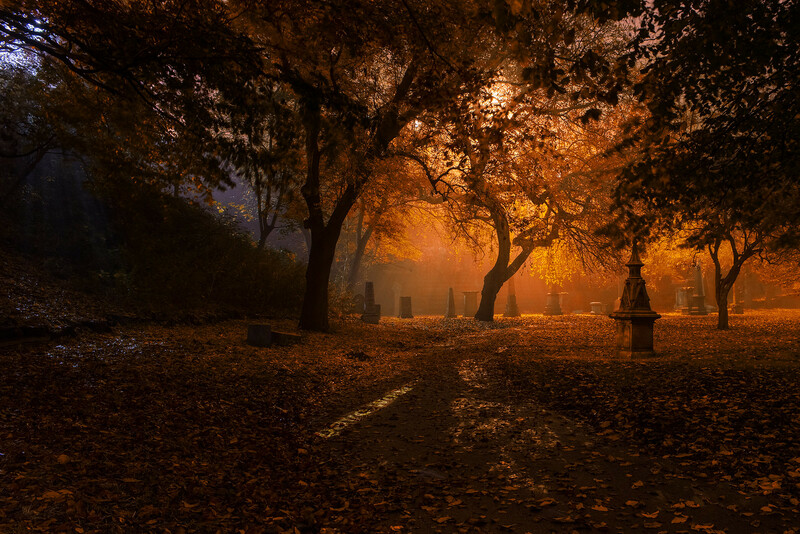 Some folk may find it creepy to walk through St James’ Cemetery, Liverpool at night. I don’t. Quite the contrary, I find it very peaceful to walk through it at night. Perhaps not in the 70s, 80s, and 90s when it was frequented by drug takers who left their syringes strewn across the cemetery. The Friends of St James’ Cemetery (now called The Friends of St James’ Garden) was formed in 2001 to clean up the cemetery and in their own words “thereby promoting site usage and discouraging nefarious activity.” They’ve done a fantastic job and it is now a popular place to visit by locals and tourists alike. Mention must also be given to Mike Faulkner’s excellent St James’ Cemetery website which has been online since 1998. From this month, Anna has taken over the running of Mike’s website to combine it with her MA Archaeology dissertation. I wish Anna all the best and a big thank you to Mike for maintaining such an interesting website for almost 20 years. This entry was posted in Cemetery, Liverpool and tagged cemetery, Liverpool.